On Monday night, my district hosted our first ever twitter chat, run by our fabulous Director of Technology, Salima. For some, it was their first twitter chat to date, others were solely lurkers, more active twitters participants, and several new to chatting but participated. Overall, it was a great learning experience for everyone involved. Question #1: What technology can you never live without (in the classroom)? Why? Examples? A1 – #ffcaedu – I LOVE my iPad for teacher observations, taking pictures of students at work, and taking notes during meetings. Question #2: Do you think technology motivates students? Why/why not? Question #3: How do students benefit when given the opportunity to use technology to create-when technology is in their hands? Question #4: How do we help students become “ethical citizens” when using technology? Tips? Tricks? Suggestions? Question #5: Why is twitter a powerful tool for educators? What are the benefits? How has twitter helped you professionally? 1) As teachers highlight their favourite technology tool, the thing they couldn’t live without in the classroom, I always wonder how it’s used. For example, I have a document camera and use it several times a week, but it wouldn’t be a go-to-tool for me. How does another teacher feel that tool is essential for instruction? What am I missing? Education is a field that is constantly evolving, and now with technology, things seem endless. But the great thing about it is learning is also continual. There’s never a time when teaching should be repetitive, or stagnant. We can always learn from one another, and always improve how we teach or the way we teach. 2) Technology must be used as a tool to enhance learning, support instruction, and allow students to create masterpieces. If it’s used solely to replace a pen and paper, then the motivation and engagement may not always be there. Students need to be excited about their learning. They live in a world where technology is always at their fingertips. We can’t ignore that, but instead need to support it, and teach children that they too can be creative geniuses. Traveling hand-in-hand with the use of technology, comes digital citizenship. It is key that as teachers we model what it looks like, but also provide students with the knowledge to be responsible digital citizens. Equally as important, is the need to educate parents. Parents need to be on board with this, and speak that same language at home. Parents are just as important role models as teachers, and should be setting that example for their children as well. It’s our job to provide them with the tools necessary for this to happen. 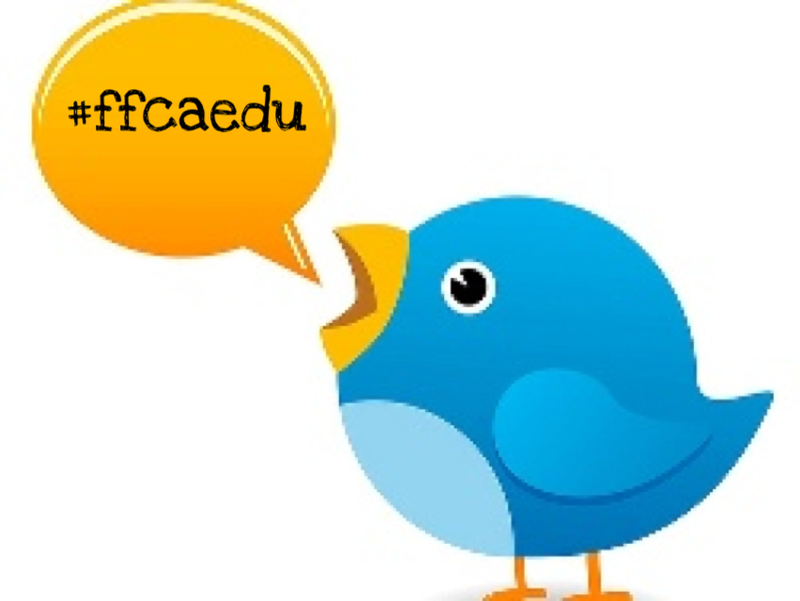 3) Twitter continues to be an extremely powerful tool for educators. Time and time again, every tweeter you talk to will reinforce this. It’s an amazing tool to connect with others around the globe, access experts, be supported in learning, and build a powerful PLN. For those who are “anti-twitter” I would challenge you to try it again. Dedicating some time will prove to be more rewarding than one may think.